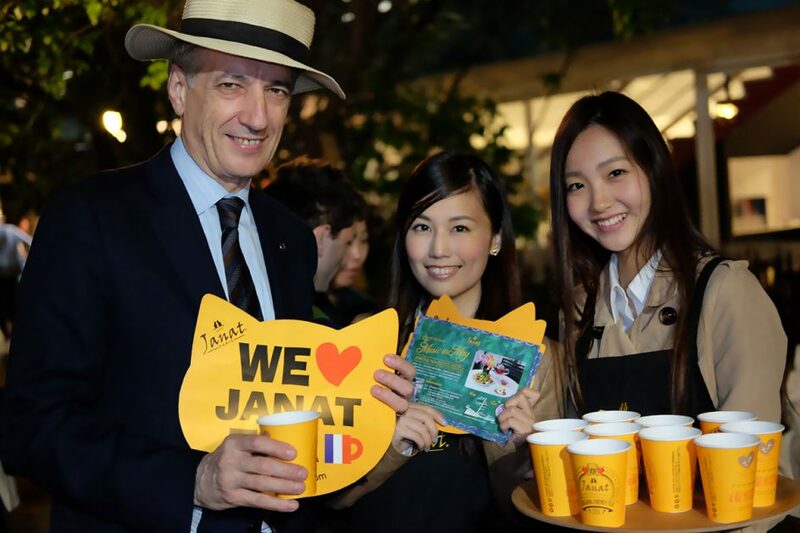 French Art de Vivre & lifestyle can be experienced in Tokyo with Bonjour France in collaboration with the French Chamber of Commerce (CCIFJ) and Isetan. 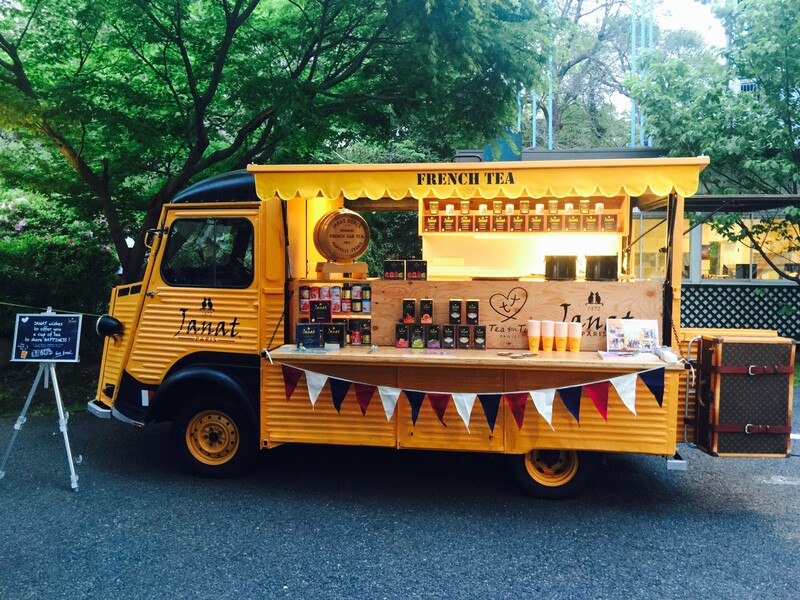 The ‘Tea for Two’ Caravan was at the French Guinguette (typical French party) at the French Institute where everybody shared a happy time with a cup of Janat tea. Thank you for coming and participating ! 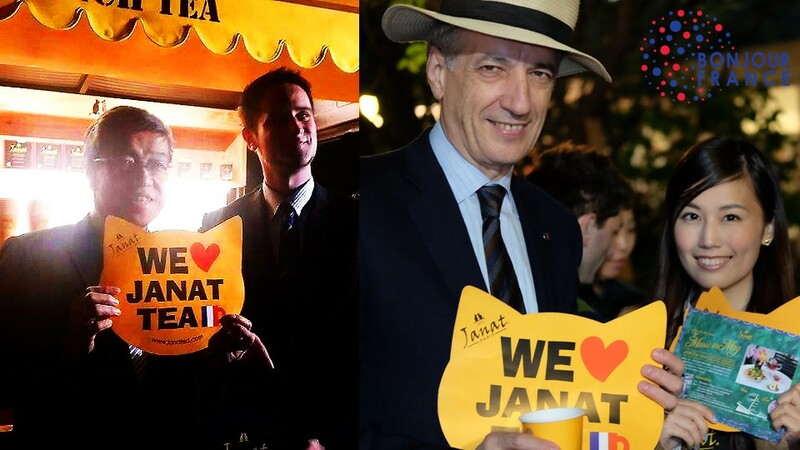 Mr. Onishi President Isetan Mitsukoshi Holdings and Bernard Delmas President of the French Chamber of Commerce and Industry in Japan also LOVE JANAT.